Better Rentals is an independent car rental company proudly offering competitive vehicle hire rates and quality rental vehicles for travellers in Christchurch and other top South Island and North Island regions of New Zealand. Our head office is located close to Christchurch Airport, however our network has rental depots in Auckland, Picton, Christchurch, Dunedin and Queenstown – all willing and able to assist with all your transportation requirements at great rates. However, we also specialise in one-way car hires to almost any location in the South Island. Enjoy a self-drive journey to Greymouth before taking the Scenic Tranz Alpine train back to Christchurch – and we’ll arrange for return of the vehicle. No matter where you want to go one-way, Franz Josef, Hokitika, Invercargill, Milford Sound or even Bluff! Our fleet of well maintained and presented Rental Vehicles and Accessories are designed to provide you with a hassle free driving experience, while our hire rates ensure visitors to New Zealand can hire a well-serviced and maintained vehicle to suit individual travel itineraries and budgets. So how cheap are our hire rates? Request a Quotation or Make a Booking in real-time – it’s that simple! At Christchurch Carhire we have a vehicle suited to your personal holiday, including 4WD’s ideal for tour seekers keen to hit the ski slopes or enjoy the great Kiwi outdoors, or if you require room for extra luggage, camping gear or the golf clubs we suggest you hire a station wagon. Our 10/12 seater hi grade mini buses are perfect for large family or touring groups and we haven’t forgotten our compact travellers either with our great selection of hatchbacks and small cars. Customer service is our top priority and we are proud to have a lot of repeat business, which is why we have developed our online information services designed to help visitors plan an enjoyable journey when touring around this stunning country. Now you can browse our Terms & Conditions or read the testimonials from other happy customers without leaving your chair! We also provide maps and route planning advice as part of our personalised service to you, including general information about New Zealand. Don’t forget to visit our FAQs page for even more reading material about our company and services! New Zealand is a stunning country to drive around with plenty of great visitor attractions and breath-taking scenery, which is why you can sometimes be left wondering just where to start your Kiwi experience! 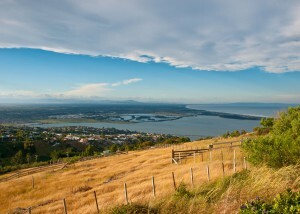 What is the best South Island scenic driving route? Where are the best ski areas? Check out our Ski Areas & Heli-Ski Sites articles and touring guides for the answer to all your travel questions. For the international driver we have also included useful tips and advice about New Zealand driving rules. We also offer the hire of Navman GPS systems for your rental vehicle so you wont get lost while travelling around!